Spain is a large country with mountains on all sides: the high Pyrenees on the border with France, the Galician mountains in the moist north-west, and the Sierra Nevada overlooking Granada and the Costa Del Sol. The Spanish islands include Majorca, which has a large mountainous area inland. 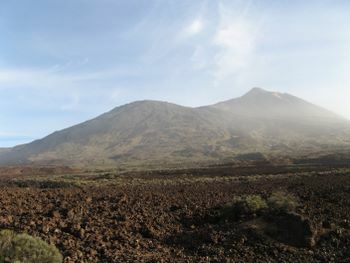 Tenerife is further afield, with excellent hiking not only on Mount Teide. Whilst millions of tourists visit Spain for the sunshine and beaches, the rural areas and inland villages provide another, more authentic impression of this fascinating country. 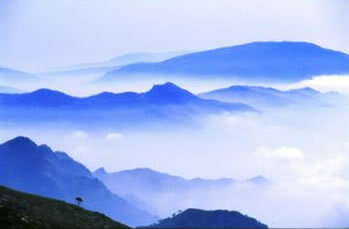 The first Spanish walking story was Cielo, an impressive mountain overlooking the popular resort of Nerja on the Costa del Sol. It was a trailblazer for the idea behind Walking Stories. There's additional information on Nerja, and shorter walks. Another story describes a climb of El Teide, the highest mountain in Spain, situated on the island of Tenerife. Matthew Parris has allowed us to reproduce some edited extracts from his book, A Castle in Spain, based in the hills of Catalunya. These make wonderfully evocative walking stories. And we would welcome your Spanish stories. As an extra, here is a link to an attractive-sounding walk with a group hiking in Spain's spectacular Alicante mountains, described by Donald MacLeod in an article from the Guardian on 8 March 2005 . "It's even possible, as we did one day, to scramble up a pinnacle to the Moorish watchtower of Perputxent and eat your picnic in utter tranquillity within sight of Benidorm." Sounds good. The winning story in the Guardian's 2008 travel writing competition is Mark Lunn's account of a walk into the mountains from Soller on Mallorca's new Ruta de Pedra en Sec.